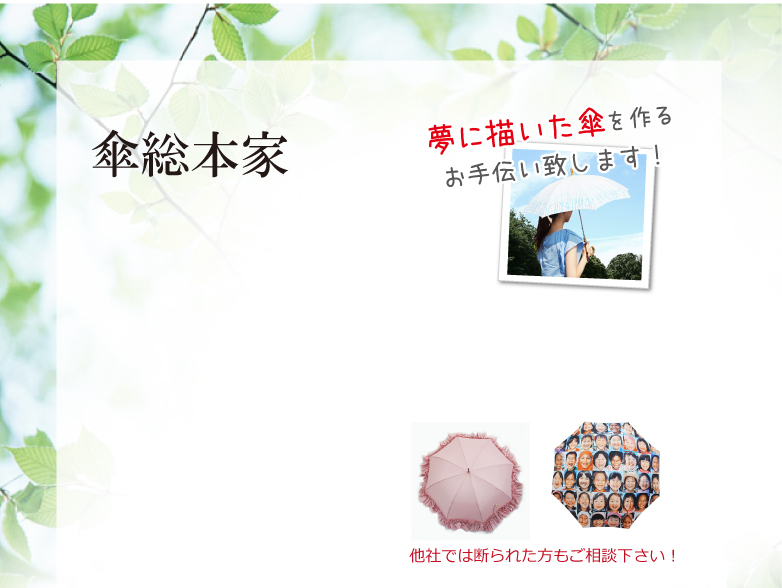 their own original umbrella, and those who want to create umbrellas but don't have the means to. In order to do this, we have our own factory in China, enabling us to handle the complete process from planning and design, to OEM production, as well as production-only requests. With the know-how and techniques from many years of experience, backed by our support system, we are able to produce original umbrellas and manufacture umbrella OEM. original umbrellas, so do not hesitate to contact us. Why choose Kasa Sou Honke? production of umbrellas and sun parasols right here at our company. no knowledge of the process. we work to meet our customers needs. 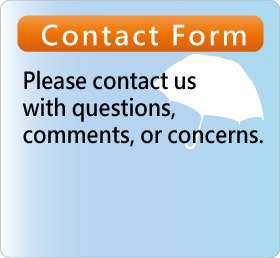 to contact us with even your most detailed requests. Made in Japan quality items. with the techniques and passion that we would from within Japan. orders via our own factory. both your needs and budget. *240 is the smallest lot count for parts like poles and handles.